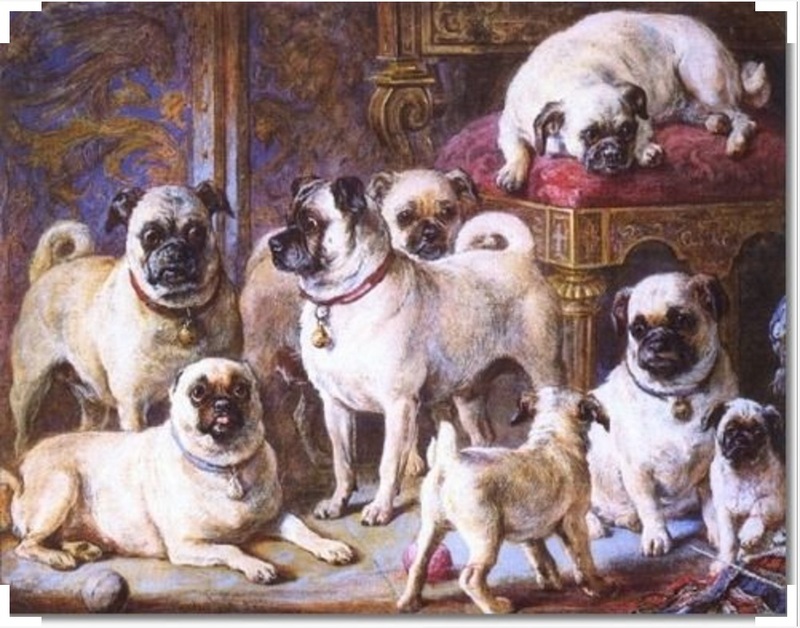 Painting by Gourlay Steell, "The Drumplier Pugs" circa 1867. The Pug is of Chinese origin and dates back to the pre-Christian era. They were prized possessions of the emperors of China and lived in a most luxurious atmosphere and at times were even guarded by soldiers. Records show that three types of short-nosed dogs were bred by the Chinese. They were the Lion dog, the Pekingese and the Lo-sze. The Lo-sze or “Foo Dog” was the ancient Pug. The Dutch traders brought the Pugs from the east to Holland and to England. The more refined Pug that we know today must be credited to the English. This happy little dog was enjoyed by many monarchs of Europe and to this day is a favorite with royalty and discerning people all over the world. The American Kennel Club first recognized the breed in 1885. The Pug’s popularity grew by leaps and bounds but then dwindled by the turn of the century. A few dedicated breeders kept the breed going and slowly the pug reappeared on the American scene. 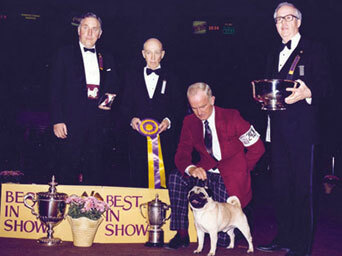 The Pug Dog Club of America was founded in 1931 and recognized by the AKC that same year. The Pug is enjoying a rather steady rate of growth in popularity at the present time. He is not so popular as to be common nor so unknown as to be rare. 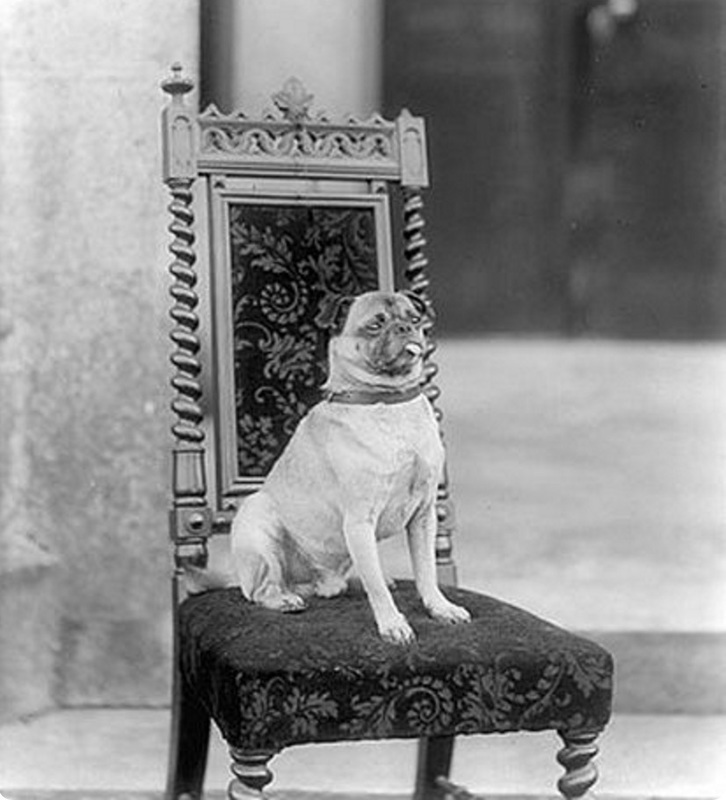 Photo of a pug from the Poole Collection of the National Library of Ireland was taken around 1900.